As an alternative to renting an apartment or house, or staying in on-campus housing, TRU World offers the homestay program for international students. The host family agrees to provide a private bedroom, fully furnished accommodations, utilities and three meals per day for the student in exchange for $720 per month. But the experience hasn’t necessarily been a pleasant one for all of those who decide to integrate themselves into the homestay program. Second-year TRU student Nahush Jadhav is one of those people. The goal behind the program is to allow students to participate in Canadian culture and customs, enjoy a family support system, familiarize themselves with Kamloops and to practice their language skills, according to TRU World. The selection process for host families is extensive. The families are interviewed, their homes are inspected and everyone over 19 in the household undergoes a criminal record check to ensure a safe environment for the student. 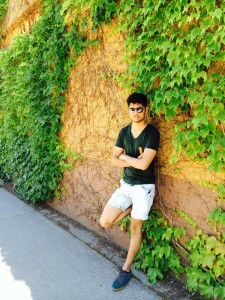 Jadhav didn’t know the Kamloops area and wanted to experience Canadian culture. With that in mind, he opted to apply for a homestay living arrangement. He paid the $150 non-refundable processing fee and went through the standard application and placement process with TRU World. Jadhav had no problem with his living space or the family he was placed with. His biggest issue was the quantity of food provided – it simply was not enough for him. He said that young men in his age group, especially those who work out, will often be concerned with getting an adequate amount of protein during meals. He found the situation to be so undesirable and uncomfortable that he decided to leave. But Jadhav wasn’t able to simply leave his host family’s house without losing his $360 deposit. He contacted his international student advisor, explained the situation and said he wanted to leave by the end of the week. The advisor informed him that just like in a standard month-to-month lease, Jadhav must give a full month notice of intent to vacate. However, he could pay a lesser amount for rent, due to the food issue. He relayed the message from his advisor to his host parents along with his intent to vacate. TRU World was contacted, but did not provide a comment on the matter. After giving notice and signing a termination notice for TRU World, Jadhav moved into the McGill housing. To his relief, he felt the location was great and had no further issues with housing after moving on from his homestay situation. Jadhav believes that international students are more likely to get stuck in similar homestay situations because they don’t convey their problems or grievances to the host parents. Different cultural norms and expectations dictate many international students’ conduct and interactions with their host parents. Although Jadhav’s experience was undesirable, homestay arrangements can work and be beneficial to both student and host family. Homestay students at TRU have the right to expect adequate, furnished accommodations, a private bedroom, three meals per day and respect for their religious or cultural differences. If those needs aren’t met, they should consult with their advisor immediately. Some problems can be resolved with help and conflict mediation. TRU World has provided an online homestay guide for host parents and students. It is an extensive handbook outlining the fees, rights and responsibilities, cultural considerations and conflict management tips.